Business-as-usual Democrats are thrilled that Hillary Clinton finally appears headed toward her long-predicted coronation, but Bill Moyers and Michael Winship recommend that she first join in ousting two of her biggest backers. There are two Democrats whose resignation from office right now would do their party and country a service. 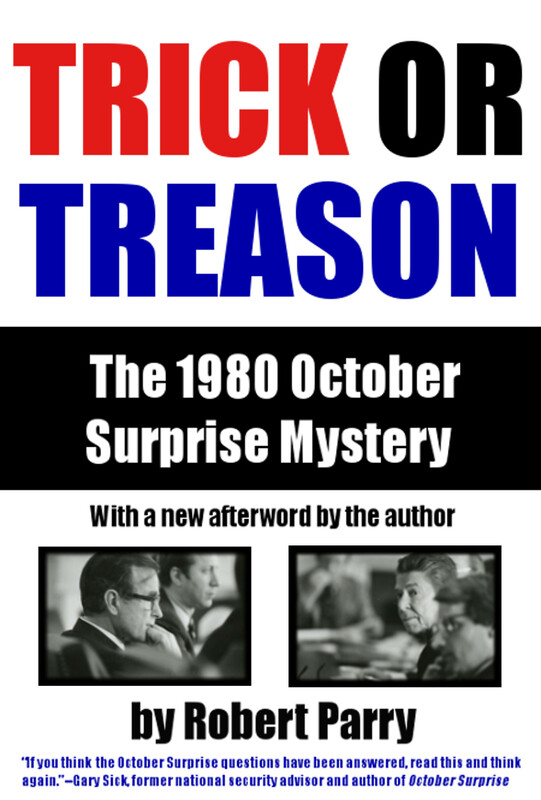 Their disappearance might also help Hillary Clinton convince skeptical Democrats that her nomination, if it happens, is about the future, and not about resurrecting and ratifying the worst aspects of the first Clinton reign when she and her husband rarely met a donor to whom they wouldn’t try to auction a sleepover in the Lincoln Bedroom. 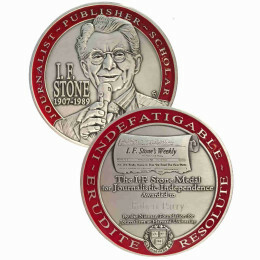 In fact, while we’re at it, and if former Secretary of State Clinton really wants us to believe she’s no creature of the corporate and Wall Street money machine — despite more than $44 million in contributions from the financial industry since 2000 and her $675,000 in speaking fees from Goldman Sachs, not to mention several million more paid by other business interests for an hour or two of her time — she should pick up the gauntlet herself and publicly call for the departure of these two, although they are among her nearest and dearest. And we don’t mean Bill and Chelsea. 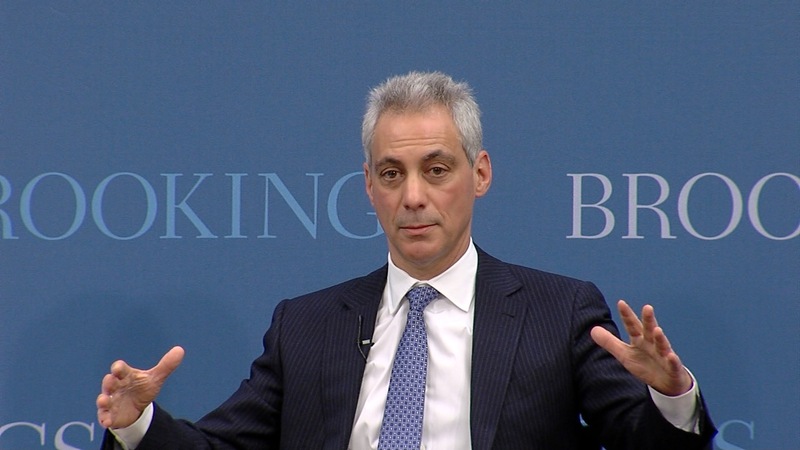 Chicago Mayor Rahm Emanuel speaking at a Brookings Institution event. No, she should come right out and ask for the resignations of Chicago Mayor Rahm Emanuel and Democratic National Committee Chair — and Florida Congresswoman — Debbie Wasserman Schultz. In one masterstroke, she could separate herself from two of the most prominent of all corporate Democratic elitists. Each is a Clinton disciple and devotee, each has profited mightily from the association and each represents all that is wrong with a Democratic Party that in the pursuit of money from rich donors and powerful corporations has abandoned those it once so proudly represented — working men and women. 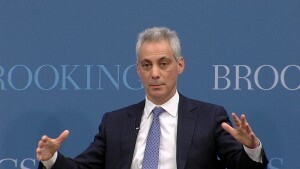 Rahm Emanuel first came to prominence as head of the finance committee for Bill Clinton’s 1992 presidential campaign, browbeating ever-increasing amounts of money out of fat-cat donors, and following Clinton into the White House as a senior adviser attuned to the wishes and profits of organized wealth. Few pushed harder for NAFTA, a treaty that would cost a million or more working people their livelihood, or for the “three-strikes-and-you’re-out” crime bill which Clinton later admitted was a mistake. After alienating most of Washington with his arrogance and bluster Emanuel left in 1998 and went into investment banking in Chicago, making more than $16 million in less than three years. 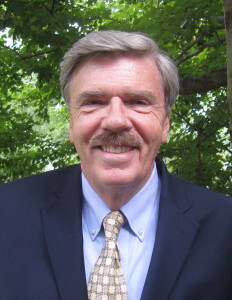 He came back to Washington as a three-term Illinois congressman, chaired the fundraising Democratic Congressional Campaign Committee (calling on his Wall Street sources to get in on the gravy by electing so-called New Democrats over New Deal Democrats), and soon was back in the White House as Barack Obama’s chief of staff. 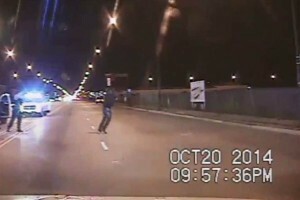 Remember that shocking dashcam video of a black 17-year-old named Laquan McDonald being shot 16 times by a Chicago policeman while he was walking away? Of course you do; who can forget it? Remember, too, that for 400 days the police kept the existence of the video secret and did nothing about the shooting. 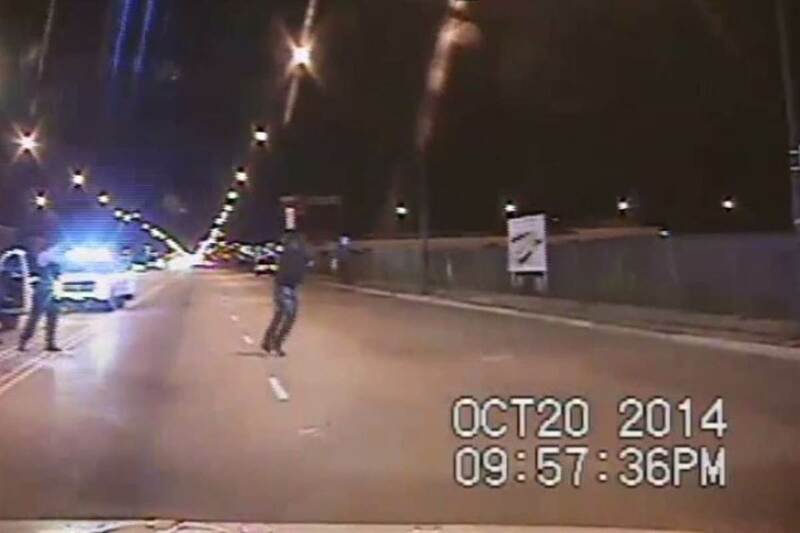 Dashcam video of Chicago police shooting Laquan McDonald. Meanwhile, the City of Chicago paid $5 million to McDonald’s family, who at that point had not filed a lawsuit. But despite the large sum of money coughed up by his own administration, Emanuel claims he never saw the video. If that’s true, he was guilty of dreadful mismanagement; if he did know, he’s guilty of far worse. The Laquan McDonald murder is just one of the scandals on Emanuel’s watch: crime and abuse by police run rampant, the city’s public schools are a disaster, the transit system’s a mess. Yet while Emanuel has devoted little of his schedule to meeting with community leaders, Pearlstein reminds us that he did, however, “spend enormous blocks of time with the rich businessmen, including Republicans, who had showered him with cash…” Now many of them have deserted him, including one of his richest Republican — yes, Republican — contributors, multimillionaire Bruce Rauner, who became governor of Illinois. Emanuel should go — and Hillary Clinton should say so. But while Sen. Bernie Sanders, campaigning during the Illinois primary, said he would not seek and would not accept the mayor’s endorsement, with Secretary Clinton it’s business as usual. Emanuel has held fundraisers for her campaign since 2014 so chances are she’ll stay mum, take the money and run. As for Rep. Debbie Wasserman Schultz, she embodies the tactics that have eroded the ability of Democrats to once again be the party of the working class. As Democratic National Committee chair she has opened the floodgates for Big Money, brought lobbyists into the inner circle and oiled all the moving parts of the revolving door that twirls between government service and cushy jobs in the world of corporate influence. Rep. Debbie Wasserman Schultz, D-Florida. She has played games with the party’s voter database, been accused of restricting the number of Democratic candidate debates and scheduling them at odd days and times to favor Hillary Clinton, and recently told CNN’s Jake Tapper that super delegates — strongly establishment and pro-Clinton — are necessary at the party’s convention so deserving incumbent officials and party leaders don’t have to run for delegate slots “against grassroots activists.” Let that sink in, but hold your nose against the aroma of entitlement. But here’s just about the worst of it. 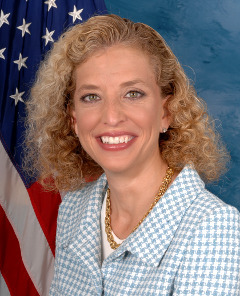 Rep. Wasserman Schultz — the people’s representative, right? — has aligned herself with corporate interests out to weaken the Consumer Financial Protection Bureau’s effort to create national standards for the payday-lending industry, a business that in particular targets the poor. According to the nonpartisan Americans for Financial Reform, this tail-chasing cycle of “turned” loans to pay off previous loans makes up about 76 percent of the payday loan business. The Pew Charitable Trust found that in Wasserman Schultz’s home state, the average payday loan customer takes out nine such loans a year, which usually has them mired in debt for about half a year. No wonder radio host and financial guru Dave Ramsey describes the payday loan business, which loans $38.5 billion a year, as “scum-sucking, bottom-feeding predatory people who have no moral restraint.” The very people, it must be acknowledged, who now have an ally in the chair of the Democratic National Committee, who has so engineered the rules of the current Democratic primary process so as to virtually assure her unlimited access to a Clinton White House where she can walk in freely to press the case for her, ahem, “scum-sucking, bottom-feeding predatory” donors and pals. So imagine now the Democratic National Convention this July. Presiding over it will be, yes, Debbie Wasserman Schultz, tribune for a party of incumbency, money and crony capitalism. Follow her as she makes the rounds of private parties where zillionaire donors, lobbyists and consultants transact the real business of politics. Watch as she and Hizzoner Rahm Emanuel of Chicago greet and embrace. Then imagine those thousands of young people outside the convention hall who have arrived from long months of campaigning earnestly for reform of the party they see as an instrument of their future, as well as members of Black Lives Matter and other people of color for whom Rahm Emanuel is the incarnation of deceit and oppression. This is why Emanuel and Wasserman Schultz must go. To millions, they are enablers of the One Percent, perpetuators of the Washington mentality that the rest of the country has grown to hate. What a message such servants of plutocracy send: Democrats — a bridge to the past. There are many more than two Democrats that should be shown the door. From the cesspool at the top the most obvious are both Clintons. Then there are the members at the DNC left behind by Tulsi Gabbard. If we add all those Democrats that endorsed Israel’s Cast Lead and Protective Edge massacres what would be left would fit in a Volkswagen Beetle.